So you’ve decided to go with a new gaming build this 2019, or maybe you’re just upgrading your existing equipment you’ve built in 2018, and you’re not sure what to get. Trying to find the right component for your needs can be exhausting, requiring hours of research and reviewing all the products out there. And once you’re finally familiar with the market, there’s always so many choices that are so close to each other. How do you truly know which one is best for you this 2019? 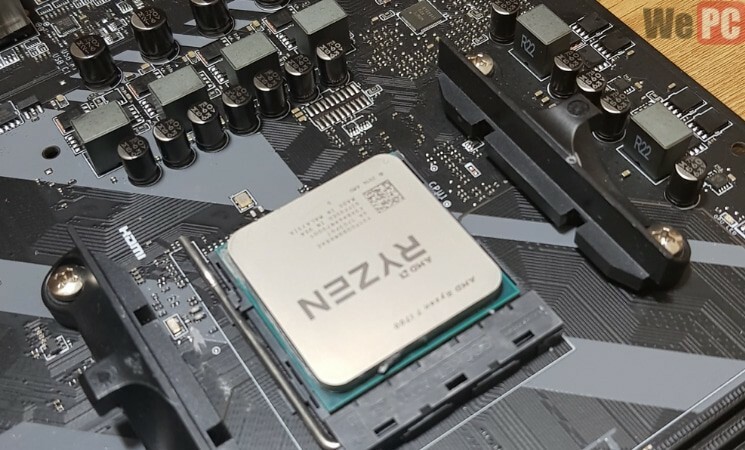 Luckily for you, we’ve already done the research by gathering all of the best gaming motherboards of 2019. We know just which motherboards are going to be the best for you and your needs. But if you’d rather decide for yourself, you can read our guide on making sure all of your components are compatible with each other. 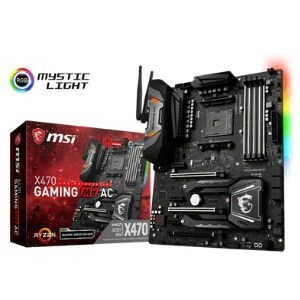 If you’re looking for a great motherboard for your high-end AMD system, then look no further than the MSI Gaming M7 AC X470. This motherboard even has built in wi-fi! Giving you everything you need for a high-end AMD based gaming system, you can’t go wrong with choosing this motherboard. The MSI Gaming M7 AC X470 is packed full of features. 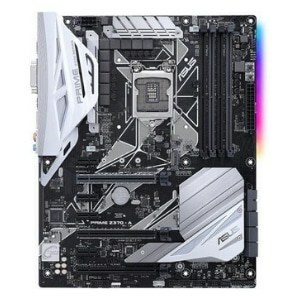 Built in wi-fi, RGB, reinforced slots, and better VRM heatsinks are just some of the features you’ll find on this board. When it comes to the best high-end motherboard for Intel systems, then the clear winner is the ASUS ROG Maximus X Hero Z370. Like it’s AMD counterpart, it too has built in wifi to clear up those PCI slots. If you have a blazing fast Intel CPU, you’re going to need a blazing fast motherboard to go with it. 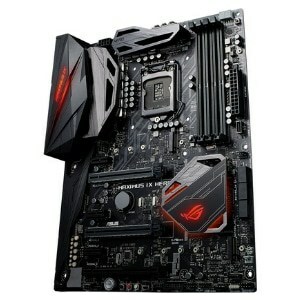 Luckily, ASUS gives us this, with their ASUS Maximus X Hero Z370 motherboard. Built to get the most out of every last drop of performance from your components, you can’t go wrong when choosing this motherboard for your high-end Intel builds. The MSI Gaming Pro X470 is a great motherboard for those looking to build an AMD system in that mid-range area. With two M.2 slots, there’s no shortage of room for your NVMe drives. There’s even RGB! When looking for the right mid-range motherboard for your AMD build, it can be tough to weed out the good ones from the bad. 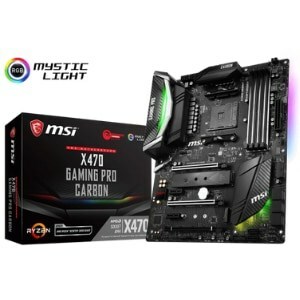 MSI has your back with the MSI Gaming Pro Carbon X470. Not only does it have all the features you’d expect of a high end board (except on a mid-range board), but it’s also on AMD’s new X470 chipset. 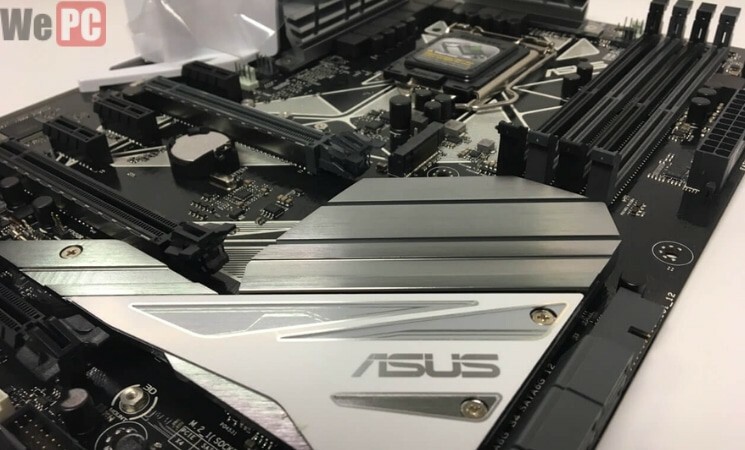 For Intel, the ASUS Prime Z370-A is a great motherboard for a mid-range build. It offers RGB, two M.2 drives, and reinforced PCIe slots for heavier GPUs. On Intel’s side of the fence, ASUS gives us the ASUS Prime Z370-A motherboard for your mid-range builds. Reinforced card slots, upgraded VRM heatsinks, and overclock utilities are just some of the features you’ll find on this great board. 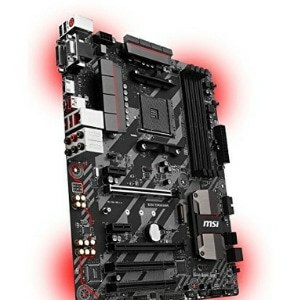 MSI gives us a great board for budget AMD PCs in the form of the MSI Tomahawk B350. This board will get you an M.2 slot while still being budget friendly. Need a great motherboard for your AMD build but don’t want to break the bank? Look no further than the MSI Tomahawk B350. Built to deliver performance even on a budget, you can’t go wrong. If you’re building a lower-end system around an Intel PC, Gigabyte has the perfect solution for you: the Gigabyte HD3 B360. This board boasts two M.2 slots even though it’s a budget board. In the market for a budget motherboard for an Intel build? 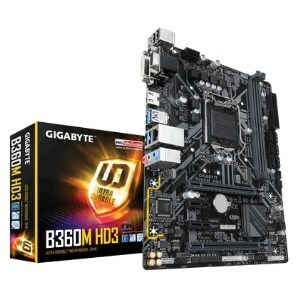 Check out the Gigabyte HD3 B360 motherboard then! Made for the gamer on a budget, this board is great for starting out and even allows plenty of room for storage by providing two M.2 slots and six SATA ports. When we decide we want to showcase products to our audience, quality is always our #1 concern. We are careful to ensure we provide nothing but the best advice to our readers. Staying up to date. No one wants to receive outdated information, so we do our due diligence to ensure we’re always on top of industry trends! Research is key. Tech is complicated and can be multifaceted, so we scoured the internet to find the motherboards everyone is using, what components are working best with those boards, and several other key factors. Narrowing down. Once we have a pool of candidates, we start narrowing down based on things such as: features, reviews, personal experience, etc. The final candidates are the ones that made the biggest impact. Now that you’re aware of the best options available to you, you’re going to have to choose a motherboard that best suits you. 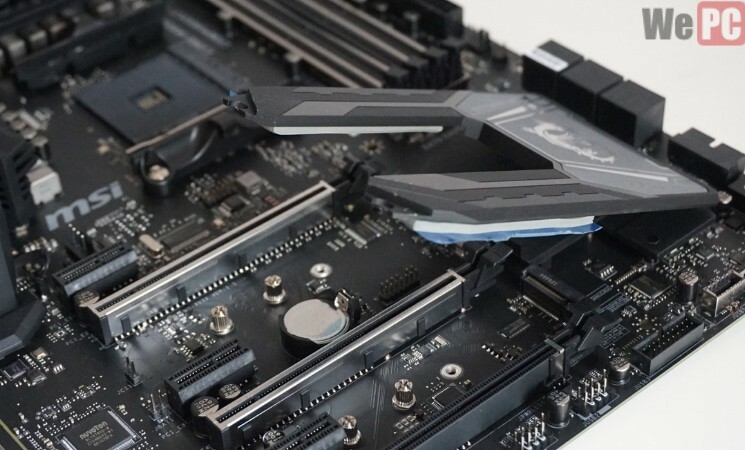 If you’re asking yourself,”What motherboard should I get?” we’d like to first make sure you know what makes a good motherboard, because there are a lot of factors to consider. Here at WePC, we believe an educated consumer is an empowered consumer! The physical footprint may be something you need to consider when choosing your motherboard. If you’re tight on space, you may want to consider a smaller sized computer case. If you’ve got plenty of room and it’s not a big issue, then you may want to get a larger computer case for future expansions. The advantages of going with a small form factor motherboard is space saving. You can buy a smaller computer case and have a smaller footprint. The advantages of going with a large form factor motherboard is having more room for expansion. Every motherboard is going to have a specific socket type. This is the physical slot on the motherboard that holds your CPU in place. You’re going to need to have to match up the socket type of your processor to your CPU. Trying to fit the wrong processor into the wrong socket type can cause fatal damage to your components, and no one wants that! In order to make sure your CPU and motherboard are compatible, make sure to check the specs. For example, let’s look at a couple of CPUs and motherboards. A large factor when determining what you need to best suit your motherboard needs are chipsets. Your chipset is a key factor in determining which features your motherboard comes with. This ranges from PCIe lanes, to SATA ports, and even overclocking support. Even if your processor allows overclocking, if the motherboard’s chipset doesn’t support it, then you won’t be able to do it. When it comes to checking memory compatibility, you need to pay attention to four things: Max supported memory, memory speed, multi-channel support, and how many memory slots are on the board. Check the specs against the motherboard, this will let you know exactly what the motherboard will support when it comes to speed and how many memory slots there are. Also, some motherboards will have their memory slots a little closer to the CPU than others. Once in a while this can cause an issue with the CPU heatsink. If you have a larger than normal heatsink for your CPU, you might want to make sure it won’t barge into your memory slot area. Peripheral Component Interconnect, or PCI, is the physical slot in which you can expand the capabilities if your basic system. There are two types of PCI slots: PCI and PCI Express (PCIe). The PCIe slot is a larger, faster version of the PCI slot. Basic expansion cards such as a wifi adapter only require the much the smaller PCI slot, while larger, more powerful cards such as your graphics card, require the larger and more powerful PCIe slot. Making sure you have enough PCI slots for all of your components is important. If you’re running multiple GPUs and want to add in say a network and a sound card or an NVMe expansion card, you might have to check to make sure your motherboard has enough slots. The other thing to look for is plenty of spacing. If you’re planning on running multiple GPUs that are large, you may need PCIe slots that are further apart to allow for adequate space. The last thing you need to make sure is that you have enough power headers for everything you plan on running. If you’re running a lot of fans, or maybe RGP controllers, you’re going to make sure you have enough headers on the motherboard to support this. If you’re interested in learning more about motherboards, then you can read all about how motherboards are made, as well as what all of the main components do. 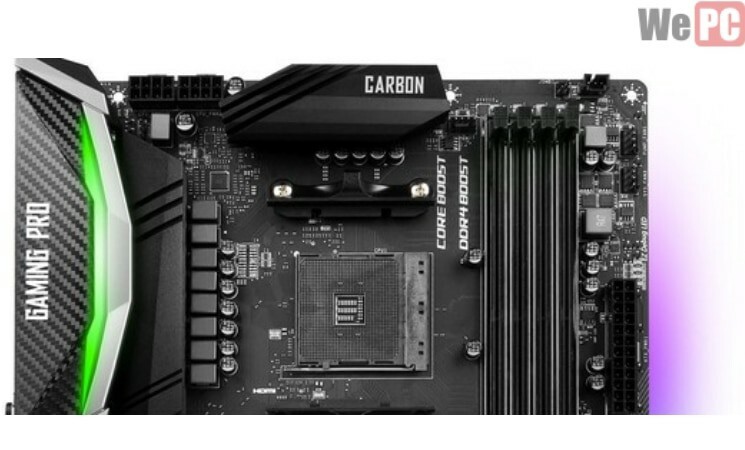 You wanted high-end for your AMD build, and you got it: the best AM4 motherboard. Everything you’d need to push your system to the limits can be found on the MSI Gaming M7 AC. This motherboard is also very aesthetically pleasing, and should fit very well with whatever build scheme you’re going for. Let’s talk specifics: First, it has all the PCIe bandwidth you’re going to need for running your beefed up video cards and those NVMe storage drives. Second, this board supports up to 64GB of 3600 MHz RAM, so you should be just fine even if you get heavy into content creation. Third, it comes with built in Wi-Fi. This isn’t essential, but is a nice plus since it frees up a PCIe slot on your motherboard, leaving you more room for those large video cards, or for more expansion later on. Here we have the top contender for the best Intel motherboard, that also means it is the best LGA 1151 motherboard. The ASUS ROG Maximus X Hero comes packed with features that are essential to a high-end build. Beyond just flat out looking cool and ominous, the Maximus X has plenty of beefed up heat shields to keep the whole board cool. This motherboard supports up to 64 GB of 4133 MHz memory. With speeds like this, bottlenecking from RAM is a thing of the past! With plenty of expansion slots in the form of SATA, USB, and M.2 you’ll never find yourself without hookups for all your gaming needs. Maybe you don’t need something high-end for your build, well this might be a good gaming motherboard for you then. Maybe you just need something in the middle ground. You need features, but you don’t need over-the-top features. Let me introduce you to the MSI Gaming Pro Carbon. I actually personally use the X370 version of this board, and it’s been nothing but stable and solid since I installed it. This board is great for overclocking and expansion, as it comes with additional power plugs to push as much power to the processor as you’re going to need to run it overclocked. With 8 SATA ports and two M.2 ports you’ll never run out of room for storage. As far as mid-range Intel builds go, the ASUS Prime Z370-A is the best gaming motherboard for i7 processors, giving you everything you need to start pushing those frames without breaking the bank. Inside the mid-range, this is the best ASUS motherboard. With support for up to 4000 Mhz RAM on a mid-range motherboard, you’ll be able to run tasks with ease. Fitting multiple video cards on this board won’t be an issue either, with the two PCIe x16 lanes available, as well as four 2.0 x1 slots for any expansion cards you might want to run. Storing all those sick plays from your games won’t be an issue either, thanks to the six SATA ports, as well as both of the M.2 connections. So you don’t need anything fancy, and you just need the basic features to help get you up and running. Or maybe you’re just in the market for a budget AMD board. Either way, the MSI B350 Tomahawk has you covered. Out of the list, you might have noticed that this board scores the lowest when it comes to reviews, only coming in at 3.7/5. But rest assured, this is still a very good board. There were issues with the new Ryzen platform and the BIOS on this board for RAM. Those issues have since been fixed, and the reviews since then have been nothing since fabulous. In fact, I’ve actually used this board in two budget AMD builds myself and they have both done very well so far. So if you’re using an AMD processor, this is easily the best budget gaming motherboard. The board only supports up to 3200 MHz of RAM, but that’s still more than acceptable at this point for gaming, and on a budget build you aren’t going to notice the difference of anything faster than 3200 Mhz. If you plan on using multiple GPUs, just note that there is less PCIe bandwidth, so your performance may not be as good as a higher-end motherboard, but AMD CrossFire is supported, so it will still work. There’s only 4 SATA ports and 1 M.2 slot, so storage may be an issue with you if you plan on expanding at any point. Overall though, this motherboard is a good choice for a mid-range AMD build. Rounding out our list is the Gigabyte HD3. When it comes to budget boards for Intel, you won’t find better than this. Not only will this cheap gaming motherboard not break your bank, but when it comes to storage, there’s room a-plenty! With six SATA ports, and two M.2 ports, you’ll have room to expand as much as you’d like, and then some. With support for up to 2666 Mhz RAM, it is the lowest on our list when it comes to RAM speeds, but being a budget board I think the other features (such as the extra M.2 slot) make up for the slightly slower RAM speeds. This motherboard does have two PCIe 3.0 slots, but one of them only runs at x4 speeds, so if you’re running dual video cards, you’re going to lose some bandwidth on the second card. AMD CrossFire is supported. Which gaming motherboard is best for you? 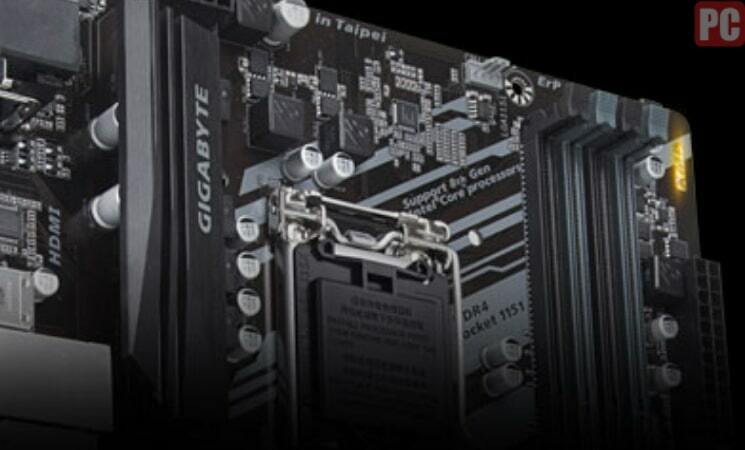 So, you know the motherboards available to you, but which one is the best fit for you? Let’s take a moment to talk about that. A high-end motherboard would be for someone who is either looking to push their gaming performance to the next level, or needs something to help with their content creation. Buying a mid-range motherboard would be a good investment for anyone who doesn’t need all the bells and whistles, but still wants good performance out of their machine. Those that are interested in budget motherboards are probably looking for something that will get them up and running while not breaking the bank. The only real benefit of a budget board is the price point. If this is your bottom-line, then a budget motherboard is the perfect choice for you. So which motherboard will you choose? Personally, I got with a mid-range motherboard in most cases. A mid-range motherboard has all the features I need, without breaking the bank. I do light content creation and eSport gaming, so I don’t need anything over the top. Let us know which motherboard you chose and why, we’d love to hear from you.